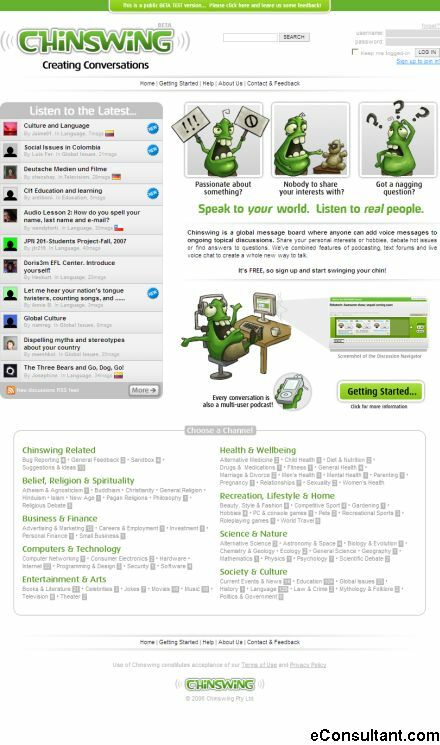 Description : Chinswing is a global message board where anyone can add voice messages to ongoing topical discussions. Share your personal interests or hobbies, debate hot issues or find answers to questions. Chinswing combined features of podcasting, text forums and live voice chat to create a whole new way to talk. We call it : step-talking.